Keep Your Clients Coming Back. 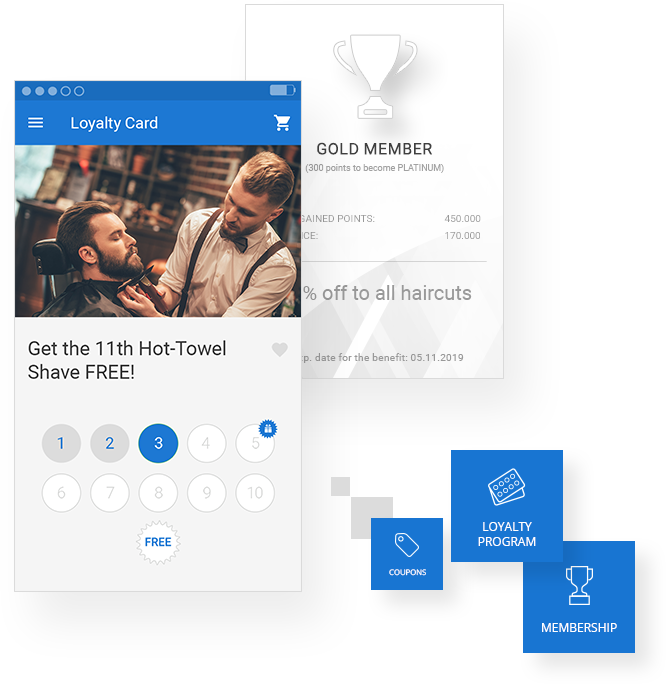 Increase clients’ loyalty and spend with a highly engaging club membership mobile app! By using bobile App Creator you’ll be able to create an app for your business that automatically engages its users, converting any visitor into a frequent club member. 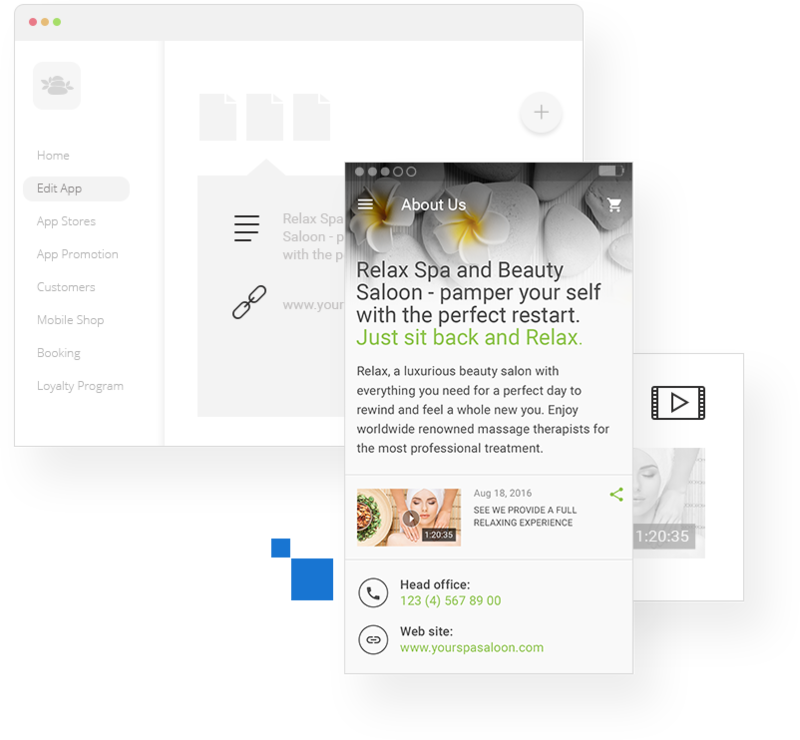 By offering them behavior based rewards, incentives and loyalty programs, your business will become a native part of your clients’ phone. And since rewarding your clients gets you up to 6 times more traction than website visitor, you’re basically rewarding yourself. We’ve created a range of time-saving features that facilitate client satisfaction. We’ve created a range of time-saving features that facilitate client satisfaction. We’ve created a range of time-saving features that facilitate client satisfaction. We’ve created a range of time-saving features that facilitate client satisfaction.We’ve created a range of time-saving features that facilitate client satisfaction. Stay on top of your business from the palm of your hand by monitoring you club members’ activities, redeeming rewards, promoting special offers and punching loyalty cards. Offer your clients the convenience of prepaid self-booking and reduce no-shows with automated push reminders. Create a highly engaging point of sale and manage it, all from the app admin. Follow up on orders, update new products, and get real-time notifications about sales. Since your app may be the mobile face of your business you’ll want to reflect all changes and updates quickly. Since your app may be the mobile face of your business you’ll want to reflect all changes and updates quickly. Since your app may be the mobile face of your business you’ll want to reflect all changes and updates quickly. Since your app may be the mobile face of your business you’ll want to reflect all changes and updates quickly. Our Editor will allow you to enrich your app with unlimited content pages using a simple drag-n-drop experience. 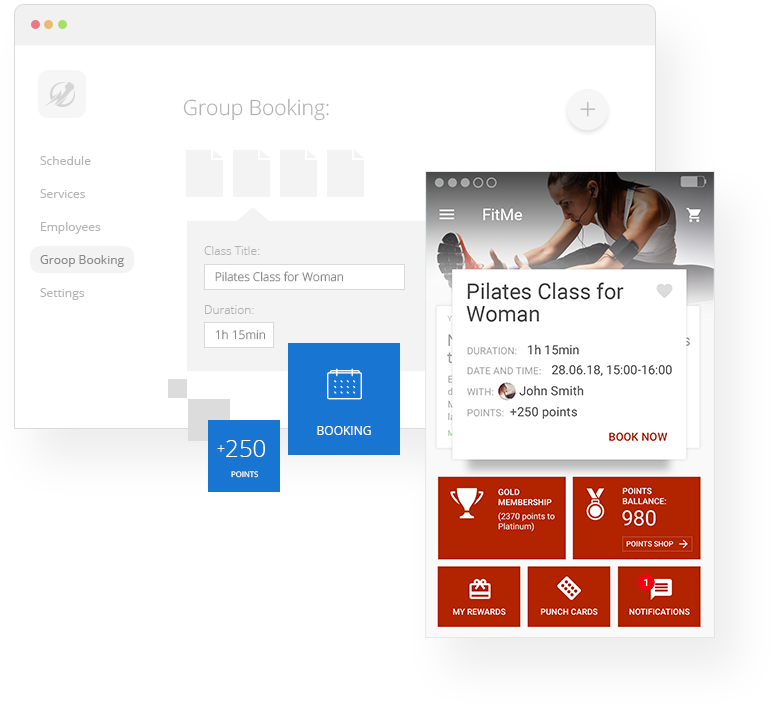 Easily adjust working hours, employees, services, classes, contact information, app style, branding elements and more. See a live preview of your app with every change you make, manage and streamline different elements of your business. Backed by a unique patented technology, bobile provides an end-to-end client engagement and loyalty generating/driving mobile app with the fraction of the costs and management efforts. All you need is do is download bobile App Creator, register to the free trial, fill a few fields, add a few images and you’ve got your own braded members’ club app. 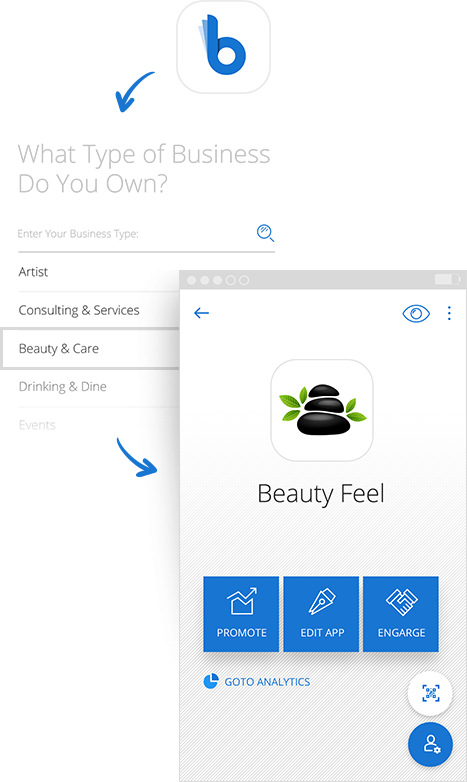 Why build an app for my business?